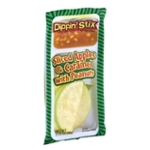 Apples With Calcium Ascorbate, Citric Acid And Calcium Chloride, Caramel Dip: High Fructose Corn Syrup, Sweetened Condensed Skim Milk (skim Milk, Sugar, Corn Syrup), Sugar, Corn Syrup, Butter (cream, Salt), Water, Pectin, Disodium Phosphate, Salt, Potassium Sorbate As A Preservative, Artificial Flavors, Mono & Diglycerides (vegetable), Calcium Chloride, Xanthan Gum. Dry Roasted Peanuts. Allergens: Contains Milk And Peanuts.